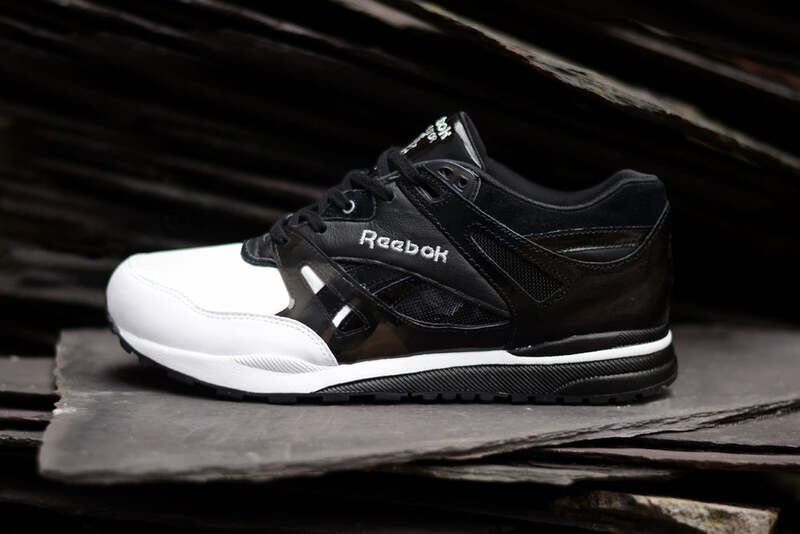 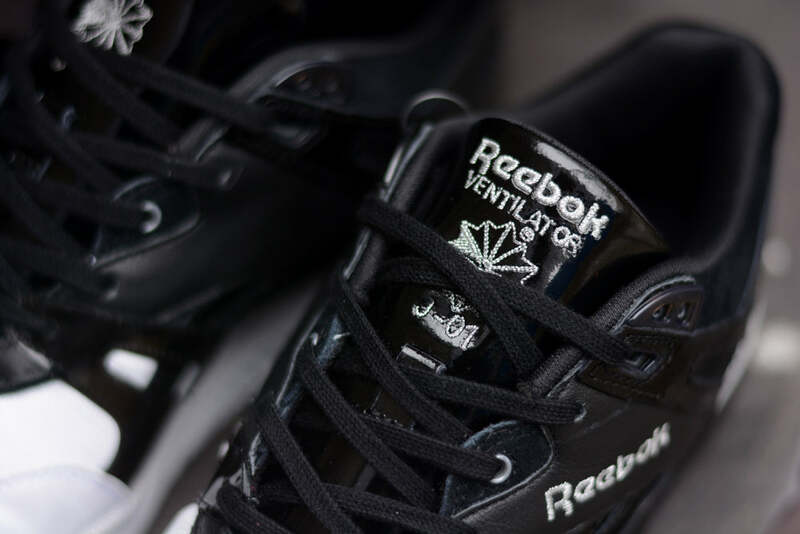 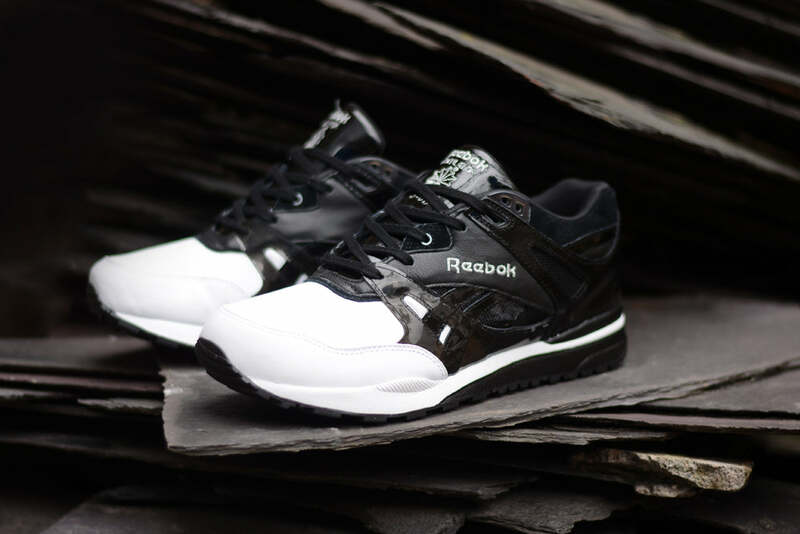 Hong Kongs J-01 boutique (D-Mop) collaborates with Reebok to put their own print on the Ventilator running shoe. 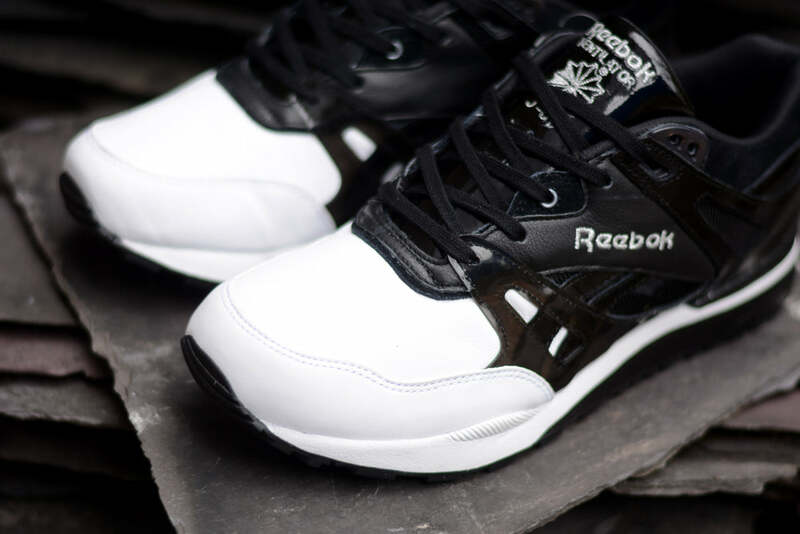 Constructed from black patent leather with white and black leather panels. 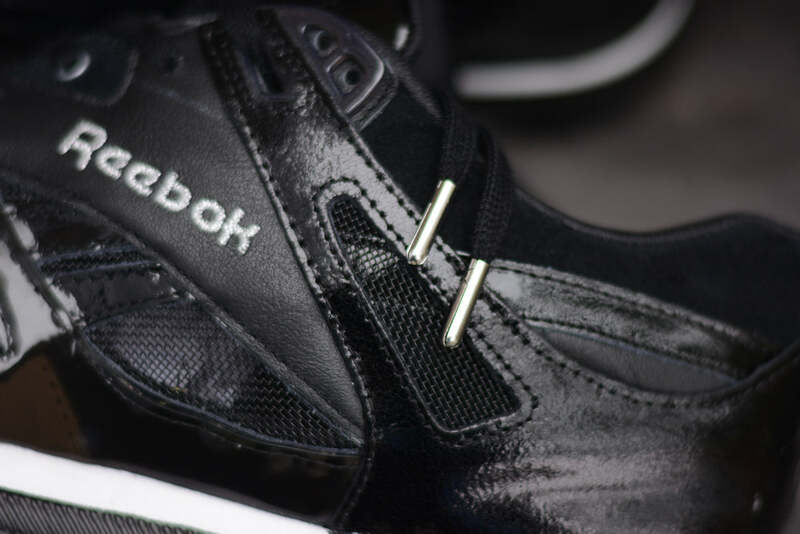 Up specked with metal lace aglets. 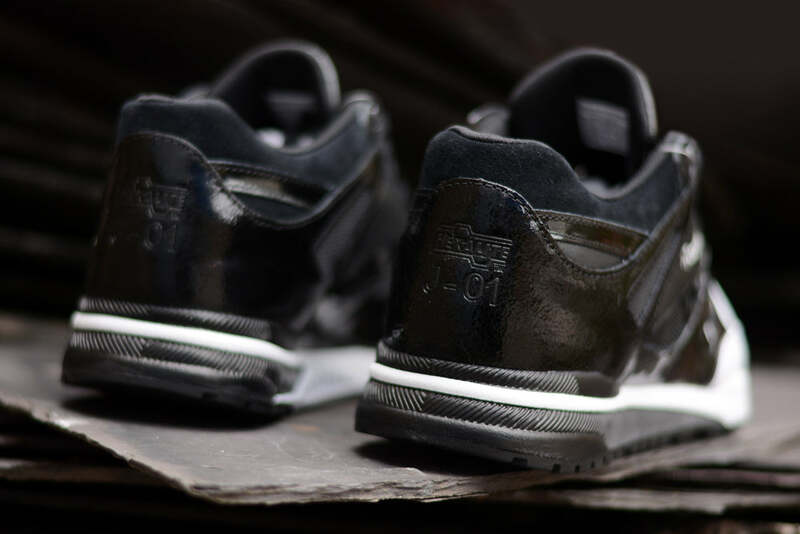 The J-01 logo appears embroidered on the tongue and embossed on the heel.